Modern technology can be a hurdle for many small business owners. There are so many buzzwords and it can all be pretty confusing. There are still small business owners who don’t have any kind of web presence at all, so getting involved in mobile is still a big leap. Things like social media, online reputation management, and the cloud can all leave small business owners with a puzzled look on their face, and that’s before you even start talking about a mobility strategy. Let’s take a look at some advice and tips for small business owners that are looking to step up their mobile game this year. The first step is to create or re-create your web-presence. This could be a website, a Youtube channel, a Facebook page, an Instagram account or a different platform altogether. Each of these various platforms has their own pros and cons, some are better suited to certain types of businesses. For example, anything geared towards women will have a better chance of reaching their target audience on Pinterest. If your business lends itself to visual displays, then platforms like YouTube and Instagram can be very useful. 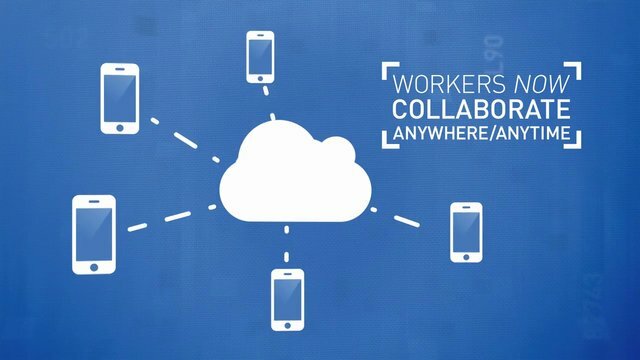 There are many advantages to having your employees connected via mobile devices, no matter what industry you’re in. The aforementioned platforms will not only help to connect your business to new customers, but they can be leveraged to keep your employees up to speed as well. To make your own app or not to make your own app? Chances are that you have had someone approach you about making an app for your business, and if you haven’t it’s only a matter of time. It is true that apps are incredibly popular, and that the top apps are earning millions of dollars for their creators, but that doesn’t mean that every business needs their own customized mobile application. Now, there’s the type of app that your customers can download from an app store, and there’s the type of app that might be used strictly in-house to help your business operate. Custom software, that’s been tailored to improve your company’s productivity, can be incredibly useful but it can also be quite costly. How do you decide if your company should have a custom app developed for your employees to use? Well, for starters, decide how you could benefit. Would it be useful to send a message out to select employees with file attachments, images, brochures, and anything else they may need at a moment’s notice? What about a calendar app for their phones that would include the week’s schedule? How about tracking them and their company vehicles via GPS while they’re on a job to make sure they are where they are supposed to be? All of those examples have already been solved using existing apps that you can have your workers setup on their phones. Basically, if what you’re looking for doesn’t exist, that’s when it’s time to have it made custom. What works for one business might not necessarily meet the needs of the next. In this day and age, it’s hard to think of a business that wouldn’t benefit from having their staff and managers connected with mobility. The business world is moving at a lightning pace, and being able to deploy assets to your team instantly, no matter where they’re located, even if they are nowhere near their computers or desks, can prove to be incredibly valuable. Discrimination in the Workplace – Have Things Changed? Maya Berry is a small business woman who is deeply concerned about the environment. She runs her small business eco-consciously and she is always looking for ways to help out the planet as much as she helps her customers. And gives her best effort to expand this trend to other businesses.